I'm finishing my final semester in school strong, but sometimes I'm not able to get out and photograph. 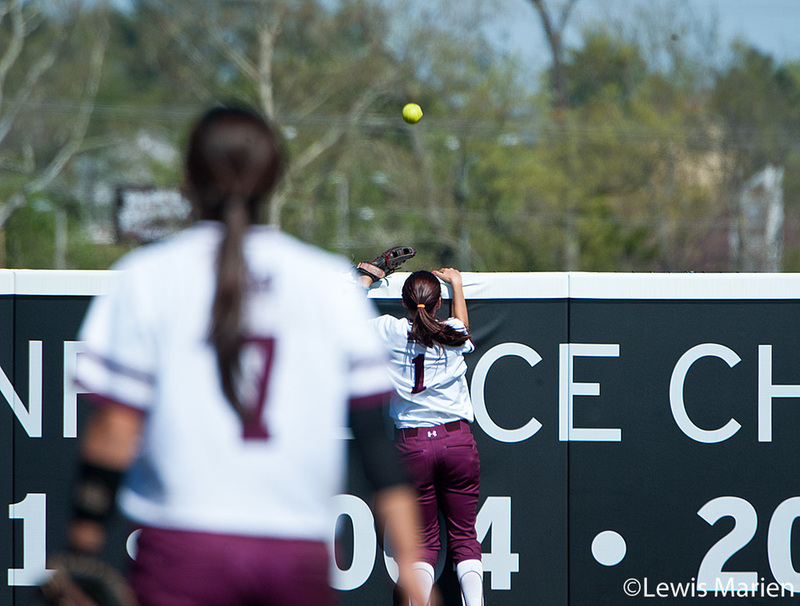 However, I was able to shoot a SIU Softball doubleheader on Saturday and the aftermath of a house fire in Carbondale on Sunday. Enjoy the pictures! Southern Illinois' Katie Bertelsen (27) fields a ground ball to Shaye Harre (25) for an out during Game 1 of a doubleheader against Drake University at Charlotte West Stadium. Drake beat SIU 3-2. Southern Illinois' Kelsey Gonzalez slides into third during Game 1 of a doubleheader against Drake University at Charlotte West Stadium. Drake beat SIU 3-2. Southern Illinois' Merri Anne Patterson (1) and Kelsey Gonzalez (7) can only watch the ball go over the outfield wall for a Drake University home run during Game 2 of a doubleheader against Drake University at Charlotte West Stadium. Drake beat SIU 4-1. Drake University's Laura Brewer (3) is congratulated by her teammates after a home run during Game 2 of a doubleheader against Southern Illinois at Charlotte West Stadium. Drake beat SIU 4-1. During the extinguishing of a house fire on 208 W. Hospital Drive in Carbondale, the Carbondale Police Department brought residents of the house food and drinks. Six people and a dog were inside the house, nicknamed "Animal House", when the owner of the Dairy Queen next door notified them that the house had caught on fire. Other than a minor injury to a firefighter, no other serious injuries were reported. Carbondale Fire Department firefighter Ryan Hall works to put out the remains of a house fire at 208 W. Hospital Drive in Carbondale. Carbondale Fire Department firefighters Chad Hicks (left) and Jay Crippen (right) work to put out the remains of a house fire at 208 W. Hospital Drive in Carbondale. Carbondale Fire Department firefighter Bradley Lam checks for hotspots on the roof of 208 W. Hospital Drive in Carbondale. Carbondale Fire Department firefighter Bradley Lam checks for hotspots on the roof of 208 W. Hospital Drive in Carbondale while another firefighter rolls up a fire hose next to the back wall of the house. Carbondale Fire Department firefighter Wesley Clemmons (left) and Assistant Chief Stephen McBride talk after putting out a house fire at 208 W. Hospital Drive in Carbondale. Residents watch the Carbondale Fire Department put out the remains of a house fire at 208 W. Hospital Drive in Carbondale.